I don’t think I can really express to you how much I love Santorini. It the most beautiful island that I have ever visited, and definitely lives up to the hype surrounding it. 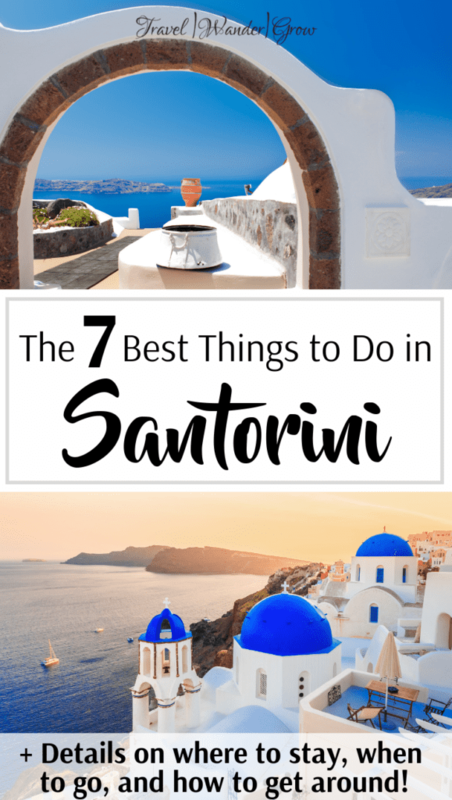 There is a lot to see in this tiny island, so this post will give a list of the 7 best things to do in Santorini. I’ll cover activities you can do from the north of the island to the south so that you have a full picture of what this island has to offer you! 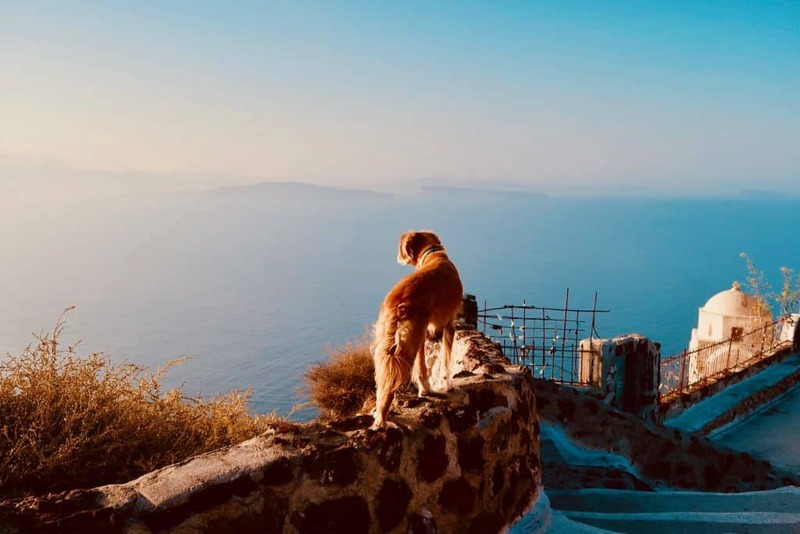 Getting There: The island of Santorini is the southernmost island of the Greek Cyclades. If you are traveling to Santorini from Athens, the most efficient way to get there is by plane. 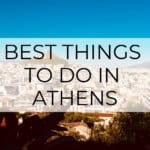 You can find many cheap flight options from Athens to Santorini – We booked our flight with Olympic Air and spent $93 on our one way ticket there. 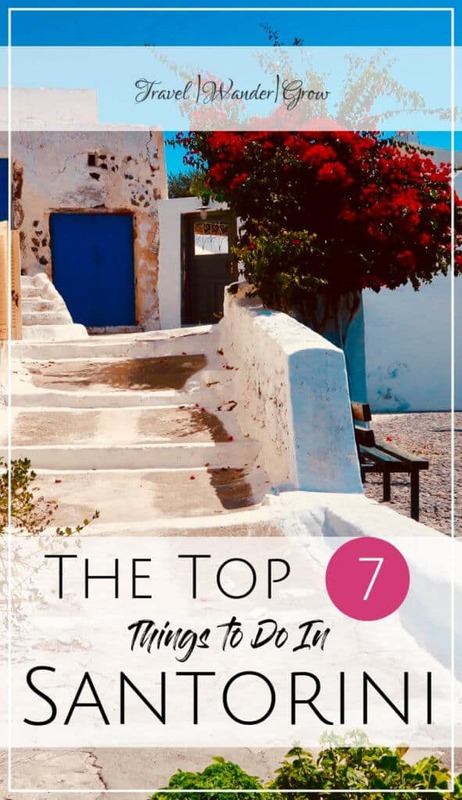 Where to Stay: There are many stay options throughout the island, but my recommendation is to stay in either Fira or Oia. 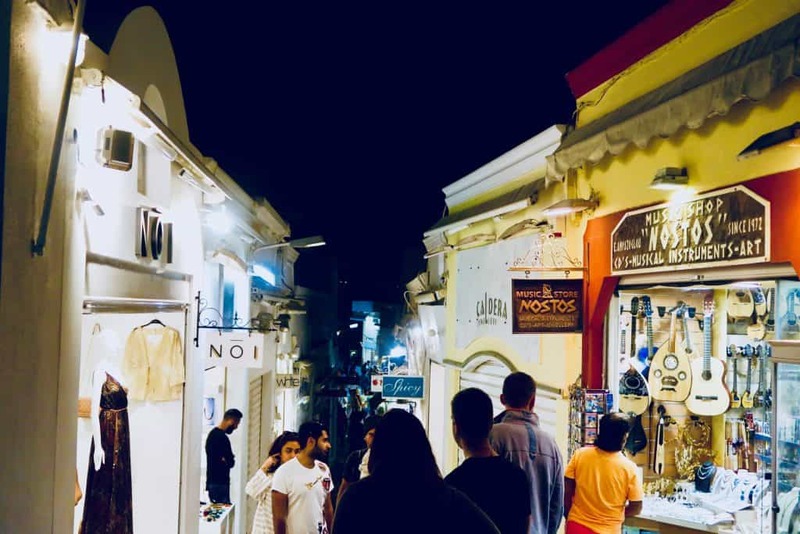 Stay in Fira if you want to stay close to the shops and night activities. Stay in Oia if you want to wake to beautiful views everyday and explore this often photographed town. For reference, Fira is located in about the center of the island, so it’s a great option if you have plans in the north and south. Oia is located in the north of the island, and above the enchanting Ammoudi Bay. Public Bus: There are public buses that that can take you around the island for very cheap fare (~€2 per ride). The only drawback here is that they don’t run very frequently, so you’ll need to add some time if you’re trying to make an appointment. Check this website for timetables! Four-Wheeler: You will see four-wheeler rentals pretty much everywhere on the island. It is a popular way to get around, but just note that many of the roads on the island are winding and situated beside cliffs. Driving a four-wheeler in those conditions is not for the faint of heart! Tour Bus: This is the way that we opted to get around most of the time! We selected tours that took us all over the island, so did not have to worry about driving ourselves. Currency Situation: Like most places in Europe, Greece uses the euro. At the time that this article was posted, the exchange rate was €1.00 = $1.16. 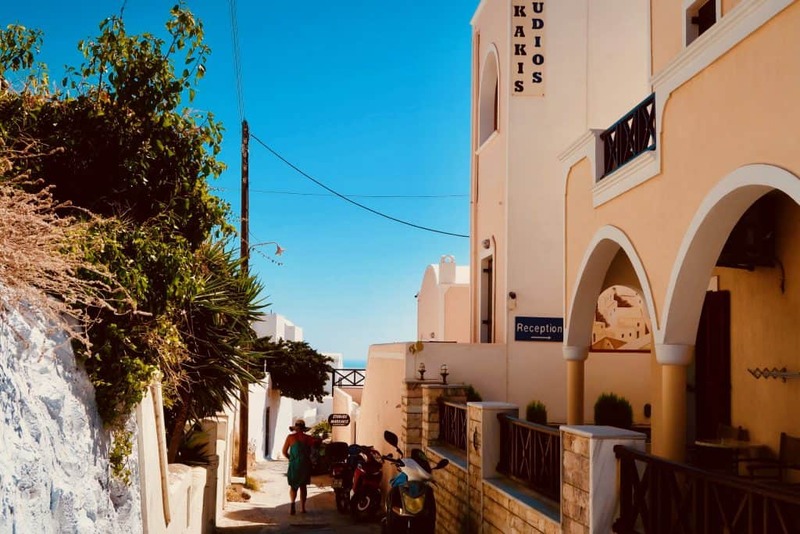 While the exchange rate is not so great for the dollar right now, the prices in Santorini are about the same as what you might see in the U.S. Click here for the latest exchange rates. When to Go: Unlike Caribbean islands, these islands do experience a bit of cold in the winter, so there is a true tourist season. Visit from late April through early November to be there while most hotels and restaurants are open. If you are interested in swimming while you are there June-September are your best bet – note that July and August are the busiest months. We went in early September and had great weather and average tourist crowds. 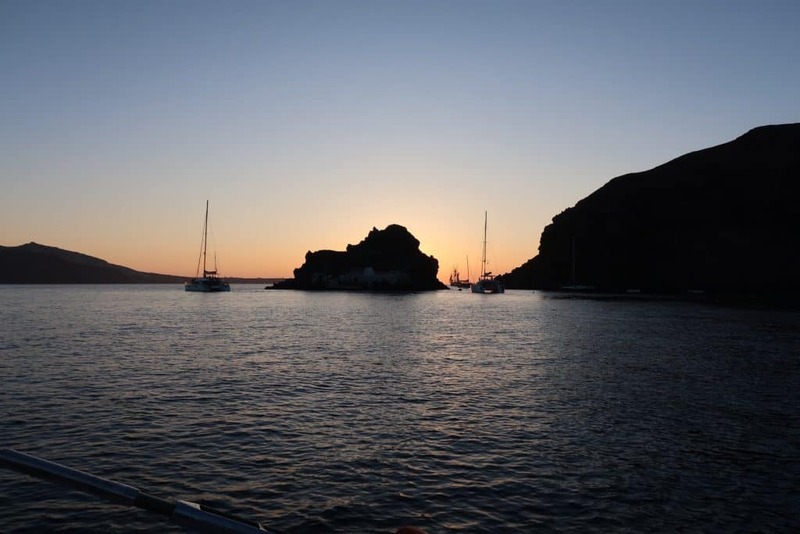 Another way to watch the sunset in Santorini is by taking a sunset cruise through the Caldera. These cruises typically begin earlier in the afternoon, and make several stops along the island’s beaches. Our cruise made stops at the Red Beach, the White Beach, and the hot springs near the volcano in the center of the Caldera. At each stop we had the opportunity to swim (or float) around the boat to enjoy the crystal clear waters. While aboard we were provided with some delicious Greek food and drinks and the opportunity to soak in the sun at the front of the boat. The experience concluded with the boat parking in the perfect spot for us to enjoy a beautiful sunset over the water. 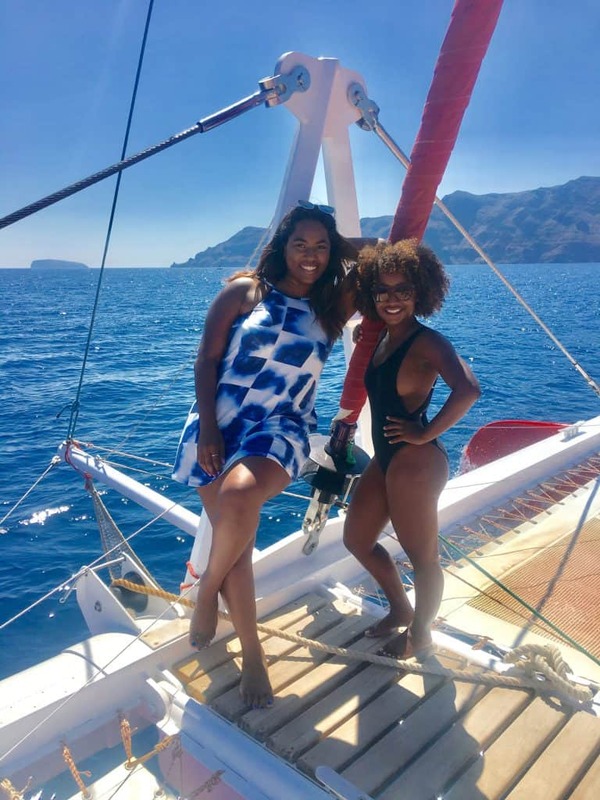 If you are interested having the same experience, here is a link to the tour: Santorini Catamaran Red Cruise with Meal & Drinks. Downtown Fira offers is a great place to do some souvenir shopping. The area really seems to come alive in the evenings as there are restaurants and various venues open into the night too. You’ll find many shops here that sell items such as paintings, travel trinkets (e.g., statuettes, key chains), jewelry, and some high end shops as well! 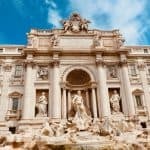 If you don’t mind facing the crowds of tourists, you should certainly check it out. Megalochori is a little-known traditional Greek village near central Santorini. It has all the beauty of Oia, but hardly any tourists. Spend a few hours here strolling through the town, visiting one of the local boutique shops, or eating in one of the local restaurants. If you find yourself needing a break from other tourists, this little gem is perfect for you! The Prophet Elias Monastery has a long history on the island, being constructed in the 16th century. This monastery is situated about 1800 feet above sea level, the highest point on Santorini. 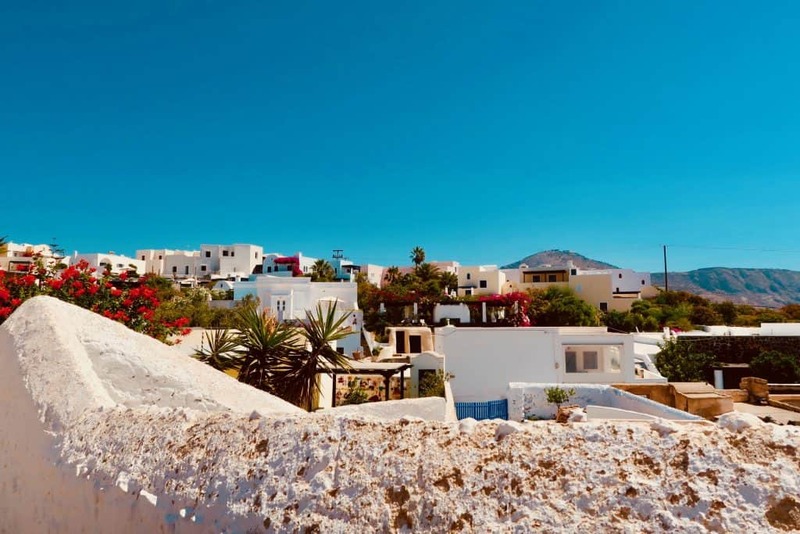 You should visit the area around the building to witness breathtaking panoramic views of the entire island of Santorini. Santorini offers beaches of many colors :). Pick your favorite as any of these beaches is a great option for a beach day! We spent the most time lounging on the black beach, but did stop at the red and white beaches on our catamaran cruise. 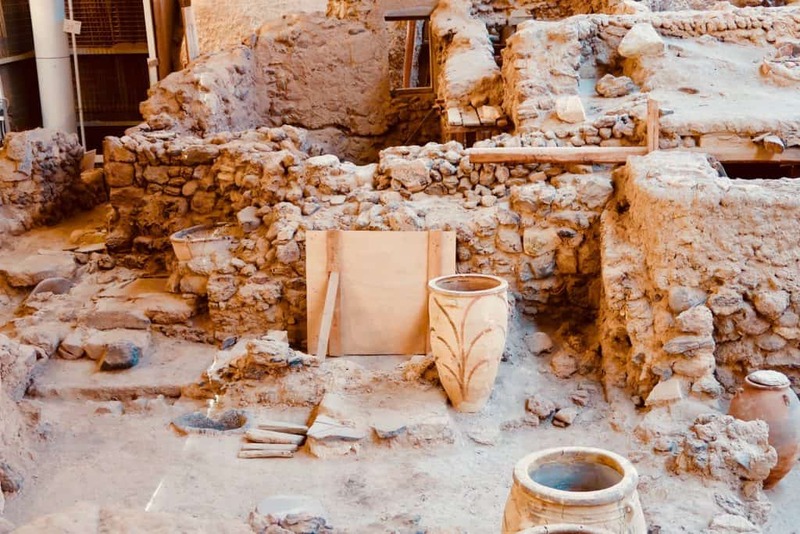 So one thing that really surprised me when I was researching the island was finding out Santorini's very own "Pompeii". Like Pompeii, this city was buried in volcanic ash and is also one of the suspected origins of the story of Atlantis. Akrotiri was destroyed about 1700 years BEFORE Pompeii (circa 1627 B.C. ), which makes the site even more impressive! For the best experience, I recommend visiting with a guide, who can help bring the ruins to life. We took the Full Day Bus Trip to South Santorini and Akrotiri to get our guided tour of the site. As a bonus, this tour also stops at a winery and several of the sites I've listed above: Megalochori, the Prophet Elias Monastery, and the Black Beach. Check out this link to get more details and book for yourself if this fits your itinerary! Santorini definitely surpassed any expectations that I had before visiting this island. Greece was on my bucket list for nearly 10 years before I finally made it, but the wait was worth it. 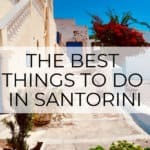 I hope my recommendations for the best things to do on Santorini Island are helpful as you plan your next trip here! For those of you who have visited Santorini before, what are your favorite things to do in Santorini? Let me know in the comments below! 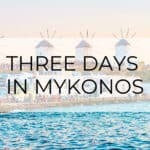 If you'd like additional information on the Greek Isles, check out my post on Mykonos! 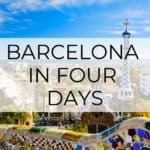 This post is giving me all types of wanderlust!! Greece is on my bucket list…reading this makes me want to book a flight asap! Glad I could provide you with a little travel inspiration. Hope you can get there really soon!! I love the pictures, they are so beautiful. My husband and I are always looking for places to travel. I will have to let him know this place. I might have to make this my destination place to go next sunner. The information was very helpful. Thank you for sharing. such beautiful photo’s! I am wishing I was already there, I must book a vacation soon! I love all the pictures looks very fun, hope to go there soon. I have been wanting to visit Santorini for the longest time but this destination has always eluded me! I have to admit that before I travel anywhere I do a great deal of research just to make sure its worth it and I think you’ve helped remind me that Santorini would definitely be worth the visit. I would love to visit the red sand beaches I think that would be an awesome experience. Thank you!! And thanks for pinning :). If you have any questions as you plan, just let me know! 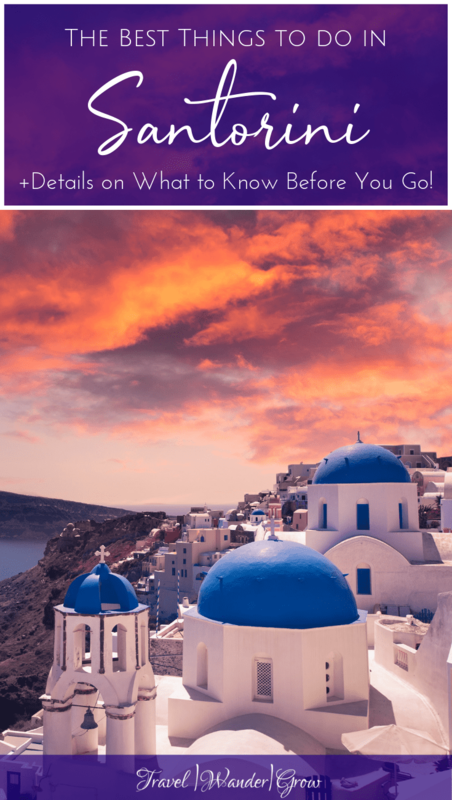 I would love to visit Santorini one day so this was so helpful and makes me want to go even sooner! Great post! I absolutely enjoyed reading about the Santorini Island and yes lovely pictures too. I’ve never been there but after reading this I feel like booking my next trip to the Santorini Island. Thank you for all the information. Thank you! I’m glad you found this post on Santorini helpful. Man, this really makes me want to get up and travel! 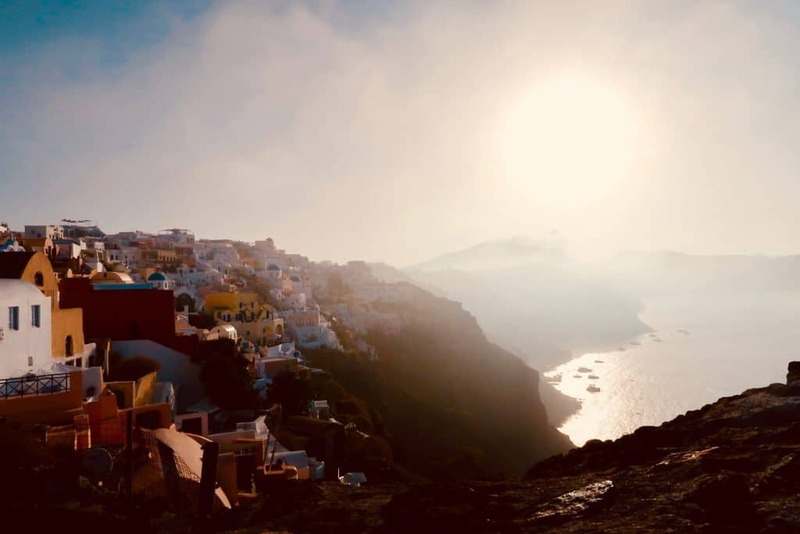 You have created an awesome overview of what it’s like to go to Santorini Island. As a photographer, your pictures really brought this post to life for me. 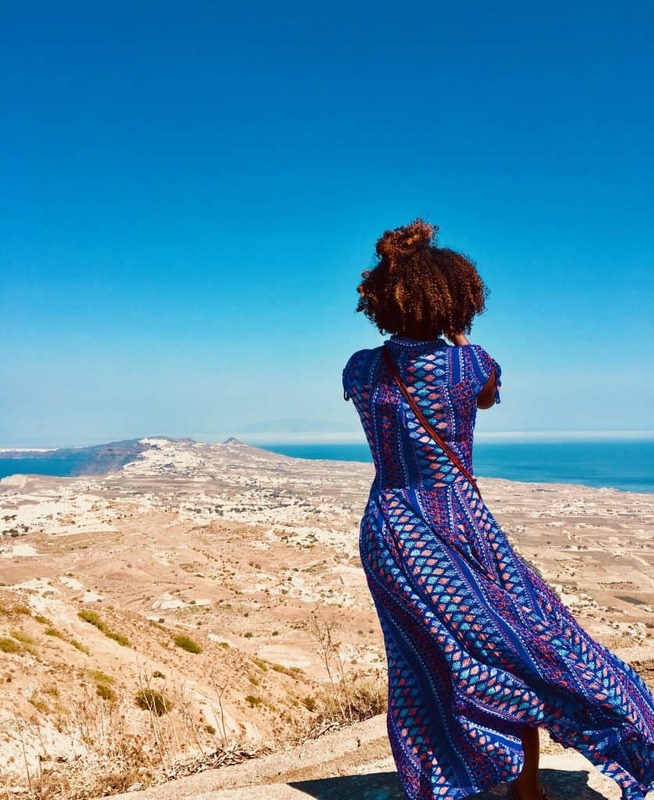 Thanks for showing us the best things to do on Santorini Island! Glad you like the pictures! I’m really working on improving my eye :).